The land around the South Pole, the Antarctic, is the coldest place in the world. The temperature there has been known to fall below -80˚C/-112˚F. 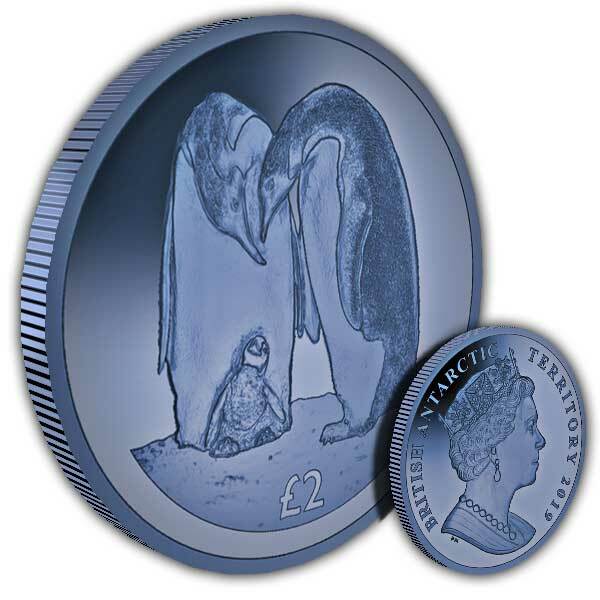 Like all Antarctic penguins, the Emperor, which is the tallest and heaviest of all penguins, has a thick layer of densely packed feathers which trap the air to keep the bird warm, acting like a thermal vest. 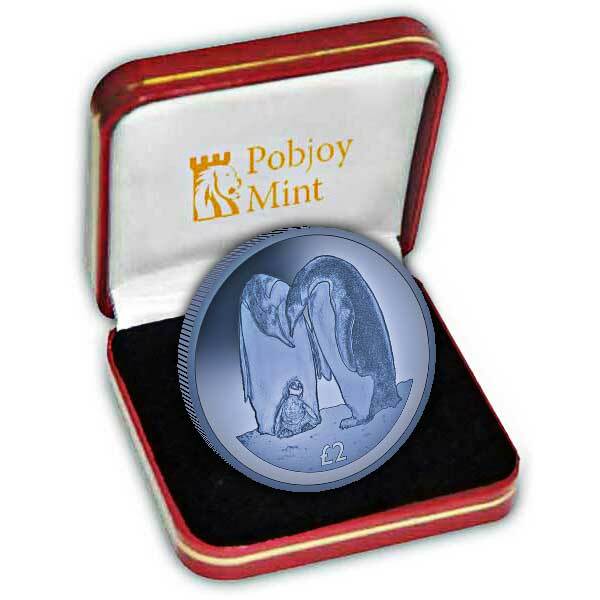 To celebrate the fact that this species not only survives but also manages to keep their young safe in these extreme conditions, Pobjoy Mint are delighted to announce the release of a new blue Titanium coin on behalf of the British Antarctic Territory.